A limited number of days are available for walk-in or bicycle campers. If you arrive unannounced, we may be able to accommodate you but we suggest that you check the bookings diary and book in with the warden@lgfc.org.uk in advance. Drive-in camping is not permitted, although you may choose to camp if you have driven here and are paying the normal bednight rate. In this case you will also have access to other Centre facilities, which could include Warden Catering. 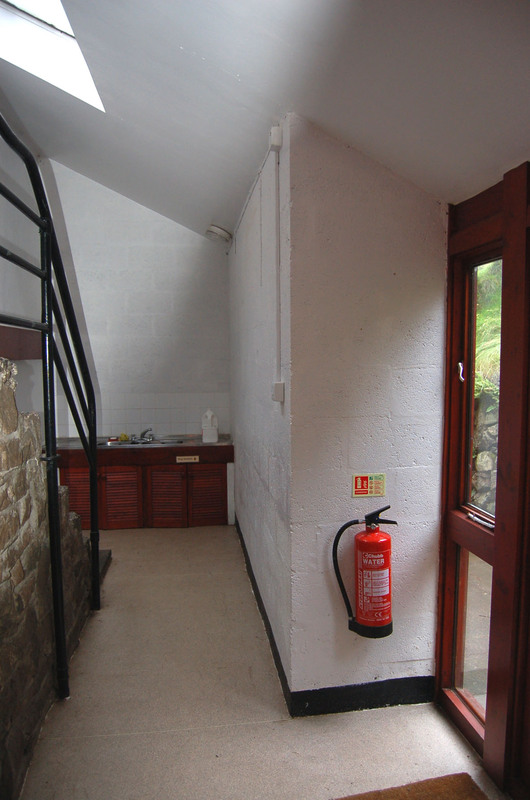 Campers may use the Centre toilets/showers and a washing-up sink inside the rear entrance leading to the washrooms. Please do not cook indoors. ... Note that some of our users stay here because we offer 'exclusive use', and if such a group is booked in, or objects because of child protection issues, we regret that a camping request will have to be declined. 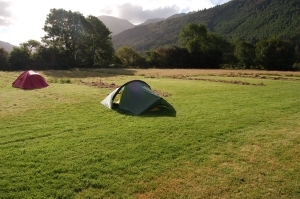 We can take a provisional booking at any time, but we must advise that a subsequent 'exclusive use' booking will have preference over camping. If this occurs we will try to let you know as soon as we can. In any case, we urge you to check 1 - 2 weeks before arrival. As this may not allow time to send a deposit, please confirm with us 1 - 2 days before arrival. The camping rate does not include the use of any other facilities around the Centre (except wash/showers), but from the front driveway, the public have access to our payphone by the kitchen door. Mobile signals are generally poor or non-existent in the valley bottom. Please note that LGFC provides self-catering accommodation only, so you will need to bring your own food in with you. The nearest shops are 10 miles (16km) away in Cleator Moor. Given advance notice it may be possible for us to arrange for an evening meal and/or breakfast to be purchased at the nearby Ennerdale Youth Hostel. If you are using an older Wainwright’s guide to the Coast to Coast route please note that the availability of food in the two Ennerdale village pubs has changed since the original publication. Contact The Fox and Hounds, tel. 01946 861373, or The Shepherds Arms, tel. 01946 861249. Click logo for the nearest national cycling route to Ennerdale.